The future in automotive retail is here. OneDealer offers the most innovative and comprehensive automotive retail solution globally and is addressed to car dealers of all sizes including importers, dealership networks, service networks, and independent workshops. OneDealer’s powerful digital core is based on SAP HANA & SAP BusinessOne – the technologies that power the world’s most successful businesses. Its modular architecture simplifies adoption and ensures scalability at the lowest possible total cost of ownership. Dealerships need to rethink business models, business processes and how people work. This requires a breakthrough technology that finally bridges the gap between transactional systems, fast decision making and real-time customer interaction. OneDealer offers the most dedicated and comprehensive solution, designed to offer direct benefits to the Sales, Marketing, Service and Management departments. Bring the online and offline automotive worlds together under one roof. Turn your sales team into a lead generation powerhouse with intuitive, fully digital, customizable, self-documenting sales workflows, opportunity management and instant collaboration. Boost Customer engagement and loyalty through a unified dealership brand experience with multiple touchpoints. Attune your dealership to the new generation of drivers. 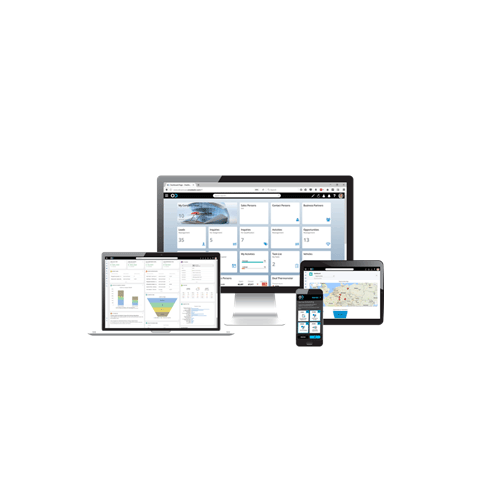 Experience instant decision support with a 360° view of the auto marketplace. Cloud or on-premise modular installation to reduce infrastructure requirements and TCO. Anytime-anywhere access by any device.